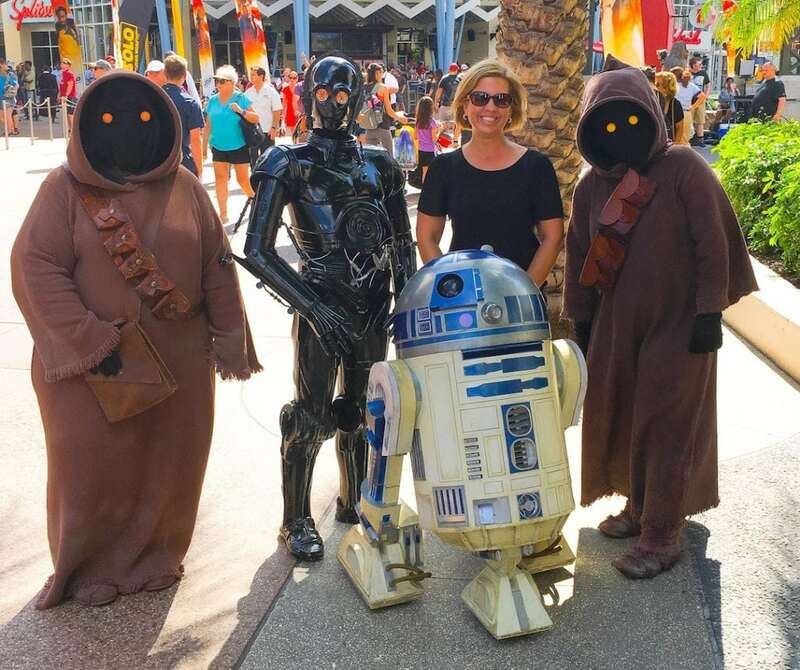 We’re like you – we love Star Wars!!! Every time Disney releases a new Star Wars movie, we get so excited and look for unique ways to celebrate with Star Wars themed snacks and party treats. Check out our Star Wars Cocktails and easy Star Wars Drink Recipes for Kids that we created. This time, we decided to make light saber Star Wars cookies. We absolutely love the results! 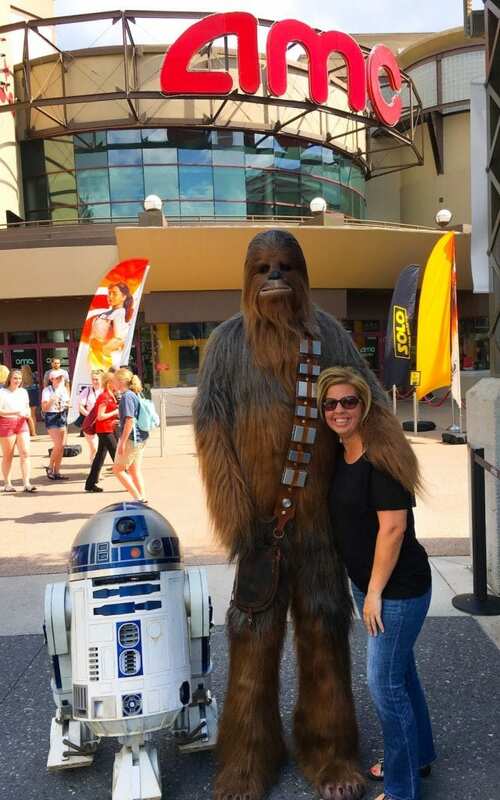 While we are anxiously awaiting the new Star Wars land to open at Walt Disney World and Disneyland, there are still plenty of fun ways to celebrate Star Wars in Orlando. FYI: Being at Walt Disney World ANY time that a Star Wars movie (or other Disney film) premieres is always a very cool thing! Usually there are character appearances, special drinks and food, merchandise, etc. at Disney Springs. 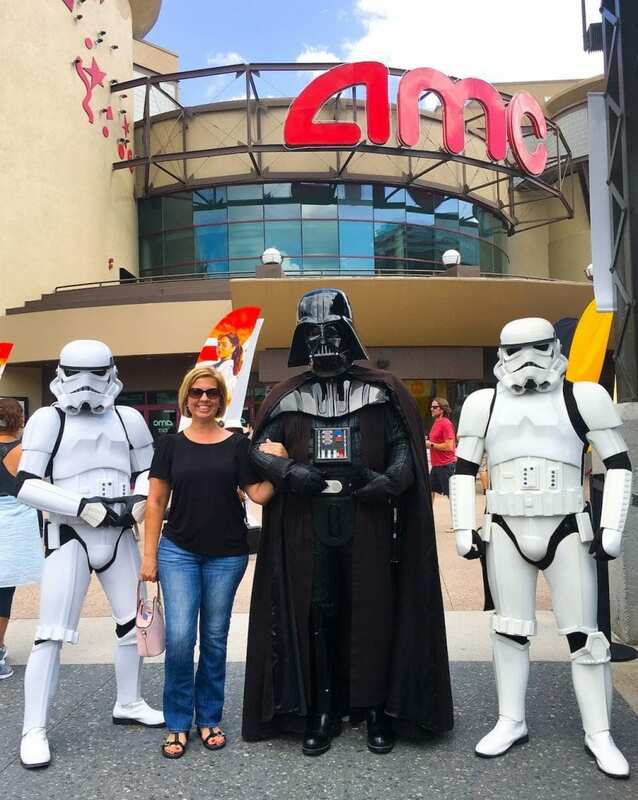 Our favorite place to see movies is at AMC Theaters (especially the Dine-In Theaters). 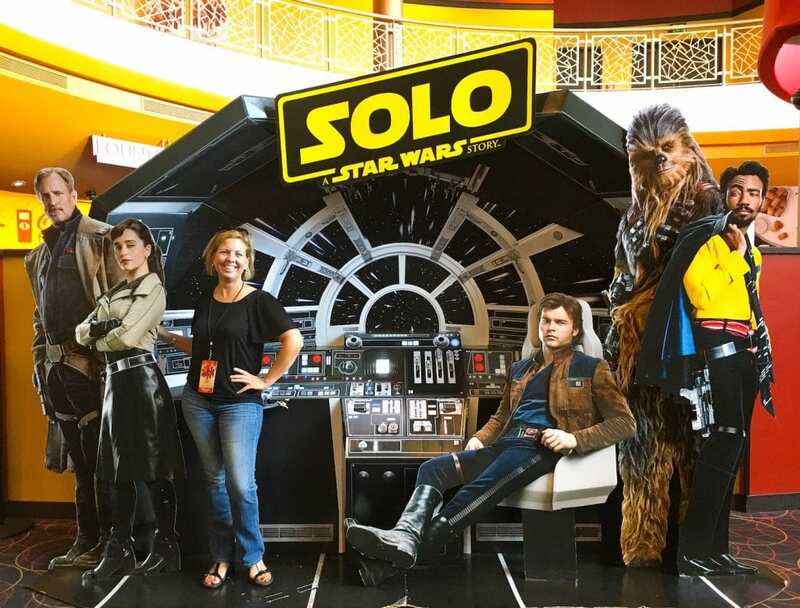 There is always a photo backdrop just outside AMC Theaters (across from the Planet Hollywood side) for great photo opps for the latest movie. These Star Wars Light Saber Cookies are customizable with whatever force you feel like! On the dark side? That’s okay. 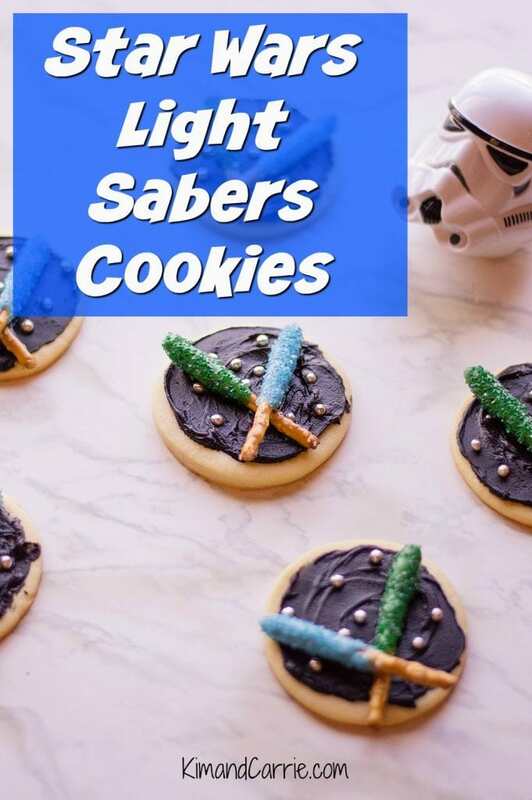 So whether it’s green, blue (or even that scary shade of red), make light sabers to fit your Star Wars style with this easy Star Wars cookies recipe. Combine butter, sugar, and egg with a mixer until creamy. Add vanilla extract and mix through. In a separate bowl, sift together the flour, baking powder, and salt. 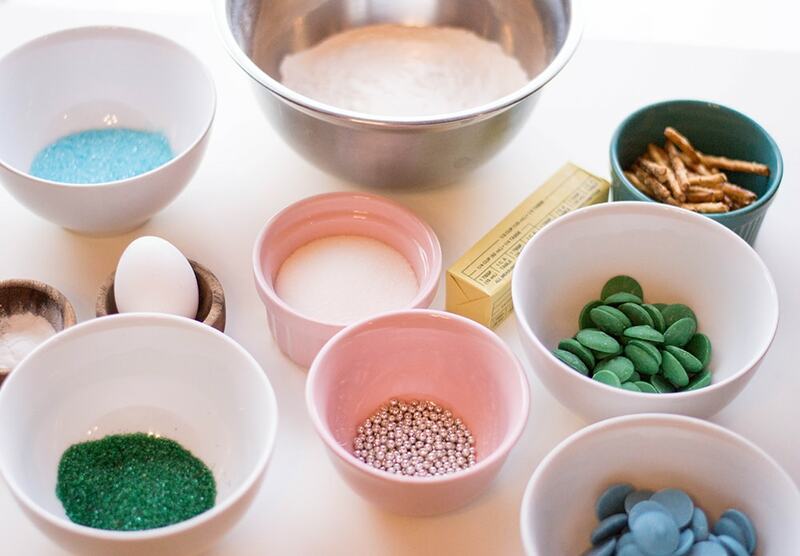 Slowly add the dry powder ingredients to your wet ingredients while mixing. 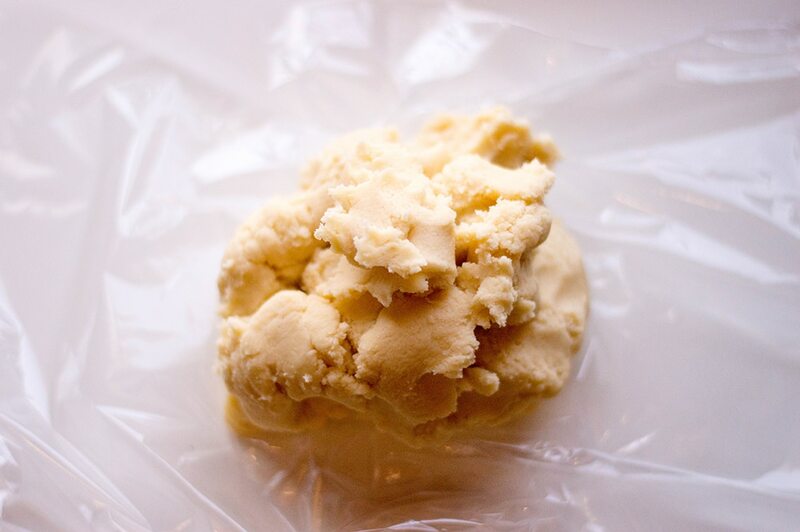 Once your cookie dough has formed, place it in plastic wrap and let set in the fridge for about one hour. Once the cookie dough has hardened a little and set, preheat the oven to 350 degrees and line a baking sheet with parchment paper. On a floured surface, roll out cookie dough and cut out circular shapes (we used a cookie cutter about 2-3 inches in diameter). Place on lined baking sheet about 2 inches apart from each other. Bake for 8 to 10 minutes (edges should be a light golden brown) and let cool on a rack. 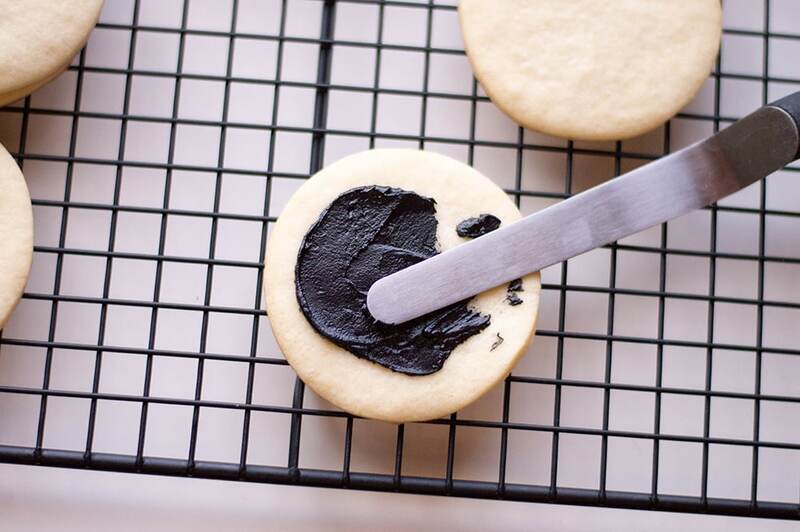 Once your cookies are completely cool, spread black buttercream on the top of each cookie using an offset spatula. Carefully place the silver nonpareils (pearl sprinkles) on the black buttercream. These sprinkles are the stars in the night sky. Melt each of your candy melts in the microwave (separately), with a teaspoon of coconut oil in each bowl. 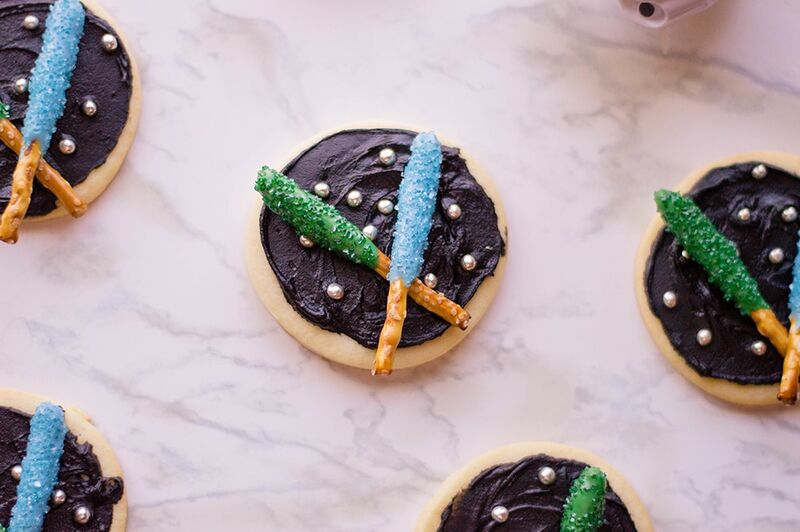 If you’re diplomatic, you’ll want both blue and green light sabers on your cookie. 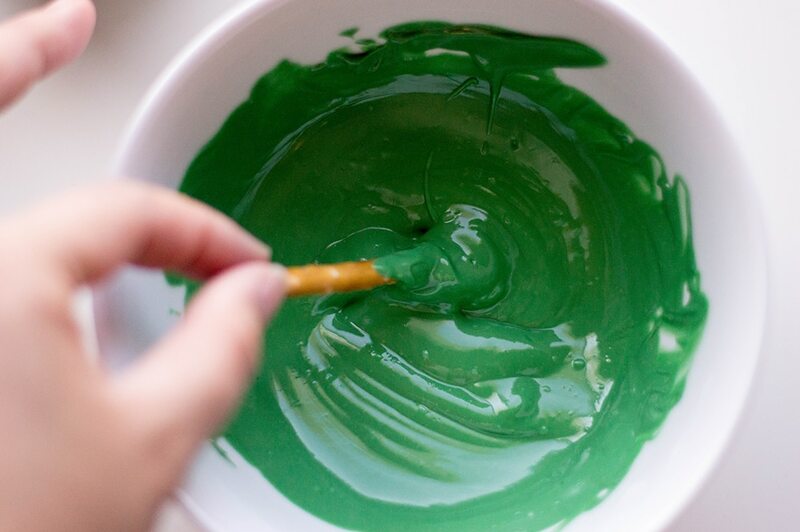 😉 Dip a pretzel stick in its candy melt color and then dip it into sugar sprinkles of the same color. Set aside on a drying rack if you feel the icing is too runny and might fall off. 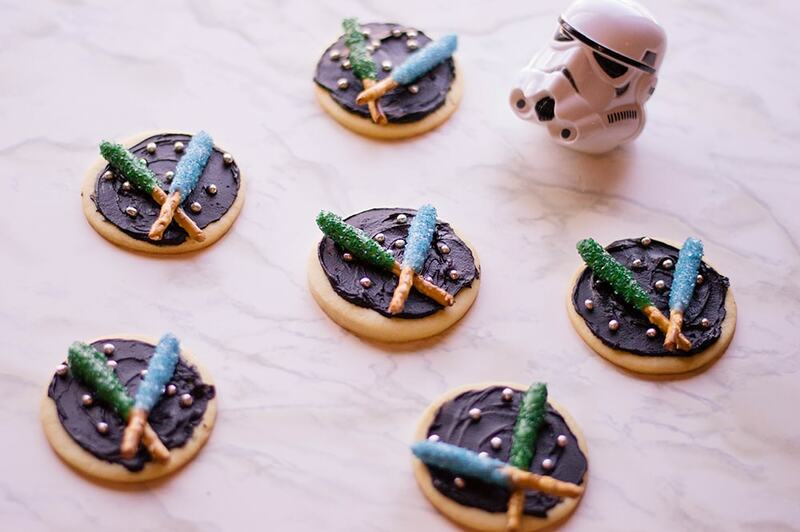 Once set and solid, place the colored light sabers on each cookie. Slightly press into the buttercream to make them stick.